The sweeping Phoenix wings perfectly frame the the raised black and silver medallion in the middle of this award. This award stands a full 13 1/4" tall. 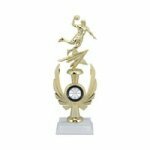 The while marble color finished base allows plenty of room for all of your personalization needs. 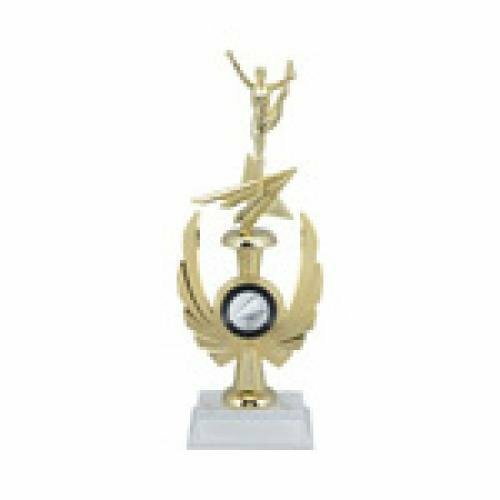 This will sure to be a hit at your next awards ceremony. Dynamic lines of the Phoenix Wings spread wide and framing a 2" center in the middle of the award make this a unique trophy. 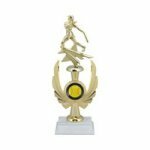 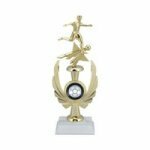 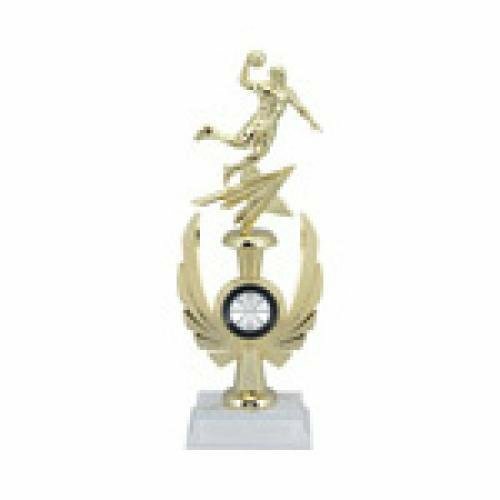 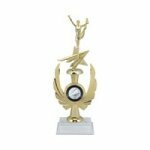 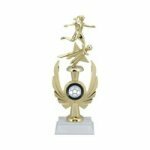 The 2" center allows you to chose from a myriad of mylars or inserts for whatever sport or activity you wish to recognize while the shooting star figure tops the award. The white marble finished base allows for plenty of area for whatever your personalization requirements are. 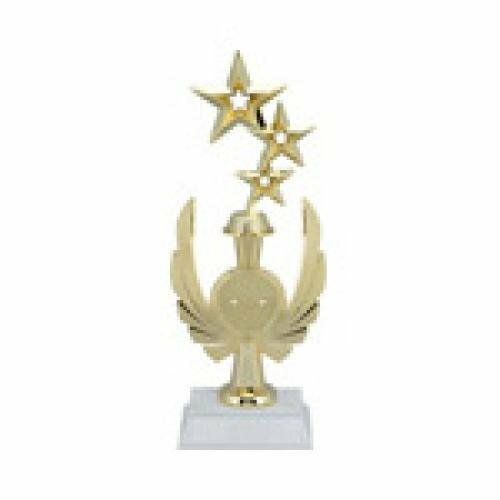 This award stands 13 1/4" tall. After you have added this item to your cart, you can modify any of the parts for any sporting or academic activity.